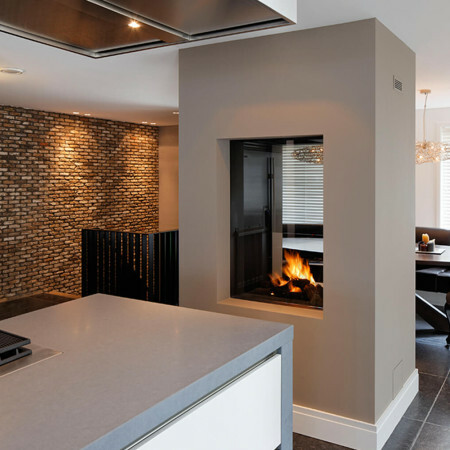 A custom made two sided fireplace, designed to fit between the floor and the ceiling. This particular design incorporates three pieces of glass on both sides and its unusual shape means it has a unique sculpted look and feel. 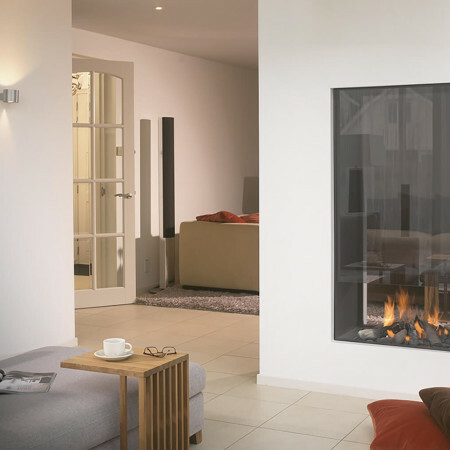 The glass that forms a key part of this two sided fireplace creates fantastic transparency, allowing light to flow between the space and creates a wonderful visual connection with the cosy fire at its heart. 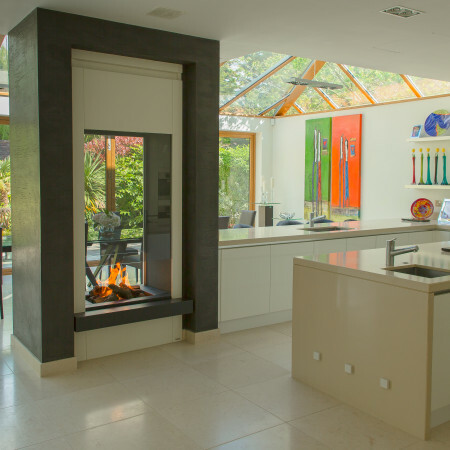 Completely custom made entirely to the clients specification, the decorative panels that sit between the glass and ceiling as well as the panels below the flame bed can be from many different colours and finishes. To get further insight into the options available and how this design can be integrated into your scheme, get in touch.